Ford’s breakthrough model in the domestic market, Ford Figo hatchback is as refreshing as the first generation version. Talking broadly about the overhaul, this version looks a lot better than the predecessor featuring relatively chic styling identical to its sedan twin Aspire. Underpinning the same platform, Figo hatchback could be referred as the boot-less version of Aspire. Up front the similar Aston Martin-esque radiator grille is notably conspicuous. Moreover the side view and rear profile all bear similarity to the sedan version. Interiors appear largely same as Aspire with subtle changes, differentiating it from the latter. Even the equipment embedded inside the cabin are akin to the ones stuffed in Aspire. Power generation is done by the same set of engines serving in Aspire including 1.2 litre and 1.5 litre gasoline engines and one 1.5 litre diesel powerplant. There are two transmission choices which comprises of one manual and one automatic gearbox. Rivalling the likes of Maruti Swift, Hyundai Grand i10 and Nissan Micra, Figo hatchback is the one upper in terms of pricing. That said, the Ford Figo price in India is tagged very competitively. As opposed to its immediate competition, the Hyundai Grand i10 and the Maruti Suzuki Swift, the Figo is relatively longer, and it shows on the inside too. Seats are comfortable and supportive enough. Knee room for passengers at the back is in plenty thanks to a best in class wheelbase of 2,491mm. The shoulder and leg room though is a bit compromised due to the large transmission tunnel at the back. The extra bit of space for the passengers at the back has resulted in a smaller boot. In fact this 2015 Figo has smaller boot space than its predecessor. There are quite a few cubby holes to store bottle and knickknacks. The dashboard of the Figo is similar in every detail to the Figo Aspire. But the silver and grey combination on the hatchback looks a lot better than the black and beige on its larger sibling. Use of a lighter color scheme has also made the cabin feel airy. The V-shaped center console is in line with Ford’s design philosophy. We particularly loved the instrumentation – it not only looks good but is also easy to read and informative; a rare combination to find nowadays. Ford deserves to be applauded for giving driver side airbag as standard figment across variants. The second variant, Ambient, upwards all trims get dual airbags with a maximum of 6 in the top-end trim. ABS and EBD though is only offered in the top two trims. Safety aside, the Figo offers a lot on terms of features including, Bluetooth, AUX, USB connectivity, keyless entry, climate control and more. The Ford MyKey, MyFord Dock and the Sync Applink are other first-in-class features. Ford is offering the same set of engines on the new Figo which do duty on the Aspire compact sedan. So petrol duty is taken care by a 1.2-litre unit that generates 88 PS and 112 Nm, matched to a 5-speed gearbox. This motor has good low-end pep but isn’t the most urgent when you get out on the open road. There is another petrol engine on offer, the bigger, more powerful and excise duty unfriendly 1.5-litre unit, only matched to a 6-speed PowerShift automatic gearbox. Producing 112 PS and 136 Nm, the real highlight is of course the gearbox which is a dual-clutch unit and thereby offers quick shifts and is very responsive to throttle inputs. It can be felt changing cogs at low speeds, the mill having good low-end performance, upshifting under 2500 RPM when driven normally. There are two modes – D and S, the latter inducing some more josh in the Figo. One can also shift gears manually using the lever mounted buttons, the cluster also displaying the gear position in Sports mode. The 1.5-litre petrol engine has good performance for the city as the autobox makes driving in stop-go traffic a breeze, something we really appreciated in the crowded city of Agra. The motor does become vocal in the top-end, redlining under 6500 RPM. Getting to 100 km/hr at full pelt requires third gear while at the same speed in top gear, the motor spins at 2500 RPM, being quite loud. While ARAI mileage figures for the petrol models are 18.16 km/l (1.2L) and 17 km/l (1.5L) one can expect 14.5 km/l and 13 km/l for the manual and automatic respectively, mileage dropping to around 12 km/l with a heavy foot. The diesel engine is the tarmac scorching 1.5-litre unit which thrusts out a segment best 100 PS and 215 Nm, again identical to the Aspire whose performance we have praised endlessly. Low-end poke is plenty, lag is very well contained and the shove is so strong that at times you end up with a lot of wheel-spin. 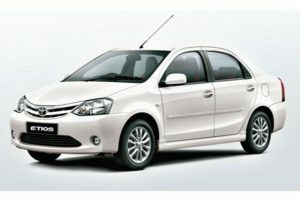 The motor has good city drivability and once out on the highway, this engine makes you grin ear to ear, the zest with which it picks up speed is truly fantastic, no hesitation in getting past the 150 km/hr mark. Aiding the fantastic mill is the smooth shifting 5-speed gearbox and light clutch, making easy work of driving. NVH levels are good too (slight diesel drone is present) and the ton comes up in under 10 seconds (being slightly lighter than the Aspire, it’s marginally quicker too), requiring at least third gear while at the same speed in top gear the needle hovers around the 2300 RPM mark, one nudge on the big pedal and overtaking is done in an instant. The ARAI rated mileage is the best in the segment (25.83 km/l) and after having tested the Aspire’s fuel economy, the new Figo should easily deliver around 18-20 km/l in the real world. The last Figo aced this section of our test, so it’s a bit hard to break the news that the new one isn’t quite as special in the handling department. There is some un-Ford-like slack at the steering and it doesn’t feel quite as sure-footed as the last one did around the corners. But that’s not to say the Ford isn’t nice to drive, because dynamics are actually good by class standards. The steering has decent weight to it (it feels better calibrated than the Aspire), high speed body movements are well contained and the brakes offer great feel and stopping power. Straightline speed stability is also really good. However, at slower speeds, the Figo tends to feel a bit stiff-kneed on all but the smoothest city roads. The small 14-inch tyres also get swallowed by large potholes. The suspension does work quietly and bump absorption is generally good, but that little bit of Ford magic is missing on this Figo.What is noteworthy though is that Ford seems to have addressed the bottoming-out issue that plagued the old Figo. Ground clearance on the new Figo is actually a class-best 174mm. Ford has nailed it when it comes to safety. No one would have ever imagined that in our country a carmaker would offer six airbags in a hatchback priced under Rs. 10 lakhs. Ford is also offering a driver side airbag as standard across all variants. No doubt the new Figo is the safest car in its segment and future-proof. That’s not it, the car also comes with traction control, stability control and hill hold assist with the automatic transmission variant. Ford is targeting rural markets as well with the Figo and is promising a competitive maintenance cost along with 24/7 roadside assistance and 2 year/1,00,000 kms warranty. 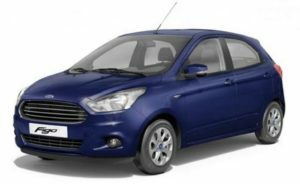 The Ford Figo surely stays towards the top in the list of some popular hatchbacks of India and this new generation hatchback helps to raise the popular quotient even higher. 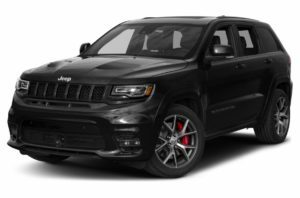 The new generation hatchbacks comes with a new and improved styling which surely seems to have worked in favor of the hatchback while it also gets plenty of features as well which are never seen on a hatchback before. The Figo also excels in the drivetrain department as well and offers one of the most powerful petrol engines in its segment while Ford has taken no chances either in terms of safety as well and thus even the base petrol variant also gets driver side airbag which is pretty impressive. 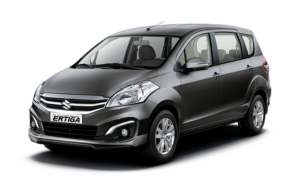 Overall this is complete package that you will get for your money and I am sure this new hatchback will be appreciated in the Indian market which is considered as one of the toughest market of the world. 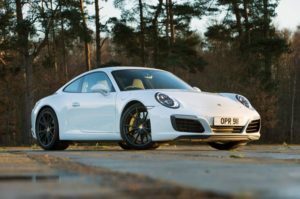 Porsche 911 range comes from updated flat-six engines with the 911 Turbo and Turbo S using a 3.8-litre twin-turbocharged motor that now produces 533bhp and 572bhp respectively. The Carrera twins use a similar twin-turbo unit good for 370bhp on the Carrera Cabriolet and 420bhp on the Carrera S models. All engines come paired to Porsche’s 8-speed PDK dual-clutch automatic transmission that has been updated for quicker shifts. The front remains true to the typical Porsche 911 design. Low slung bonnet that scoops upwards towards the windscreen and broad muscled shoulders on the sides for the headlamps. Porsche call this the wing design. There is an LED DRL ring that run around the whole headlamp and looks like a halo around it. The twin projector up and down look like a futuristic double barrel bazooka. The Side indicators are on the corners of the bumper. The grill is on the bumpers and has a valley type design the bumpers too have a chrome strip to bring in the premium feel.From the side Porsche has tried to mix sport with elegance. There is a bold shoulder line they runs through the lower side of the window. This runs from front to back. You get the feel that there is no B-Pillar in the car. From far and as it rained some time back I get the reference that at stand still the Porsche 911 looks like a frog ready to leap forward. The rear windscreen is big and I wonder why is it small in the Macan as it is an SUV and needs more visibility. The wrap around taillamps are sharp and the powerful LED make it look like Lazer blades from a Star wars movie.There is a grill which is again typical of Porsche rear or mid mounted engines for cooling and that is just below the glass. The rear bumper scoops in and then jets out for a more sportier feel and the exhaust pipes on each side are again big like cannons ready to fire. In between the taillamps is the Porsche 911 Carrera Badging. This luxury model is available with several innovative comfort features as standard. The list includes a two zone automatic air conditioning system featuring separate temperature settings for passenger and driver along with air quality sensor and residual-heat function as well. It also features an integrated cluster featuring five round instruments along with a high resolution 4.6-inch TFT color display and an on-board computer. It provides information regarding engine speed, oil pressure, vehicle speed, oil temperature, coolant temperature and fuel level. 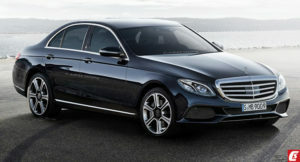 The company is also offering this model series with features like leather seats, electrically adjustable and foldable outside mirrors featuring heating function, power windows with one touch operation, heated rear screen, three 12V power sockets and a key remote for central locking and luggage compartment lid release. It also comes with optional features like heated seats, cruise control system, fire extinguisher, seat ventilation, light design package and Preparation for Porsche vehicle tracking system. On the other hand, the latest variants are now blessed with PCM communication system featuring a navigation module along with an automatically dimming of rear view mirrors and cruise control system as standard. It’s here where the main novelties come into the spotlight. For starters, the previous 3.8-liter flat-six engine was replaced by a larger, 4.0-liter unit. The swap is far from surprising, as the 3.8-liter caused quite a few issues in the previous model, prompting Porsche to issue a massive recall after a few engines caught fire.The 4.0-liter flat-six is shared with the GT3 Cup race car and is rated at 500 horsepower and 339 pound-feet of torque. That’s a 25-horsepower and 15 pound-foot increase over the previous GT3 and makes the new sports car as powerful as the GT3 RS. The seven-speed, dual-clutch PDK transmission remains standard and pushes the 911 GT3 from 0 to 60 mph in 3.2 seconds, a tenth-second quicker than the outgoing model. Top speed has increased from 195 to 197 mph, too.However, the really big news is the optional six-speed manual. Requested for many years by purists, the manual finally made a comeback on the GT3 some years after Porsche said it’s unlikely to offer a high-spec 911 with three pedals. But before any of you purists pop the champagne, you should know that the manual GT3 is slower, needing 3.8 seconds to reach 60 mph. Top speed, on the other hand, is slightly higher at 198 mph. As ever, the 911 is a super-competent handler with loads of grip available. Yes, you could be a hooligan with it and slide it around corners on a race circuit, but it’s so sharp and well balanced, it actually encourages you to concentrate on getting a better lap time. Lament the electric steering all you want, it’s probably the best one in existence with the sharpness, weight and feedback it gives you. And even in this two-wheel-drive version, the grip is so immense, it’ll make your eyeballs hurt. Then there’s the other controversial bit of tech – optional rear-wheel steering, which until now was only available on the Turbo and GT3 models. It steers the back wheels ever so slightly when you turn the wheel, to tighten the turning circle and let the 911 corner sharper. It feels like witchcraft, but boy does it work! It goes into corners faster, stays more composed through them and comes out the other side with less drama too. One could argue that track-driving enthusiasts will prefer the more natural feel of the standard setup, but for the average driver, this will only help corner faster. The car offers ventilated ceramic disc brakes all around that keep rotating mass low and offer high efficiency. Safety features include ABS, airbags, traction management system, emergency brake assist, stability management etc. 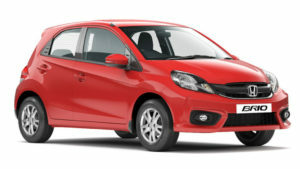 Honda was always in need to hit the small hatch segment and that was answered by the Brio. It was the small hatch of the small hatches. Small, usable, idea for the city and efficient and reliable thanks to Honda. The Brio came out in 2011 and was an instant hit. But as time passed so did the sales figures. Now in 2017 Honda has introduced the new Brio. What are the changes in the new Honda Brio 2017? Are there any additional features? We share our detailed review of the new Honda Brio 2017. Your 2017 Rolls-Royce Dawn can be customized in a myriad of ways with a variety of solid exterior colors, two-tone exterior colors, convertible top colors, exterior pinstriping, wheel styles and sizes, interior color themes, type and color of seat piping, choice of interior embossments, a wide selection of different veneers, the color of the headliner, and more. 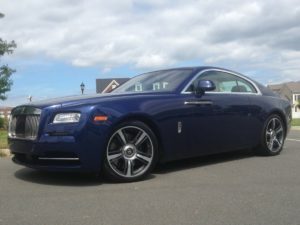 Some optional features include front massage seats and a 1,300-watt Rolls-Royce Bespoke audio system that features 16 speakers, two exciters in the headliner, and an 18-channel amplifier that has a Studio setting and a surround sound Theatre setting. Additional available features include lambswool floor mats, personalized door sills, headrests, and seat pillows, tailored indoor car cover, and a Wi-Fi hotspot. The canvas roof folds neatly into the boot  a 22 second process that proceeds smoothly at speeds up to 50kmph. 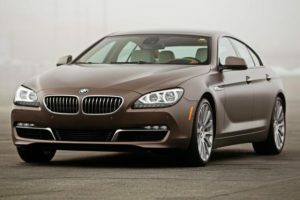 What it reveals is the automotive equivalent of a yacht’s wooden deck that wraps itself around the rear passengers and the Canadel pore wood flows into the cabin. It also reveals four seats  all equally usable to the Dawn’s credit. Sure, you miss out on the star light headliner but how does that matter really when it opens up to the real sky and stars for you to behold! The coach doors are hinged at the strongest area (at the B-pillar) doing away with added reinforcements that would become necessary at the A-pillar. 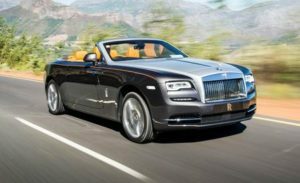 The extra 200kg doesn’t sound that much considering the Dawn weighs over two and a half tonnes.Rolls-Royce also wants to market the Dawn as the most silent convertible ever built. With the roof up it is almost as insulated from the outside world as the Wraith is, which is commendable. But with the roof and windows down, the wind buffeting is definitely palpable at speeds over 80kmph, especially through the gap between the A-pillar and the ORVMs. Driving with the windows up certainly helps but who does that in a convertible! The noise insulation isn’t perfect then, perhaps the introduction of wind deflector screens at the back would help reduce the noise immensely. The grapevine holds that is a distinct possibility with the final production version.